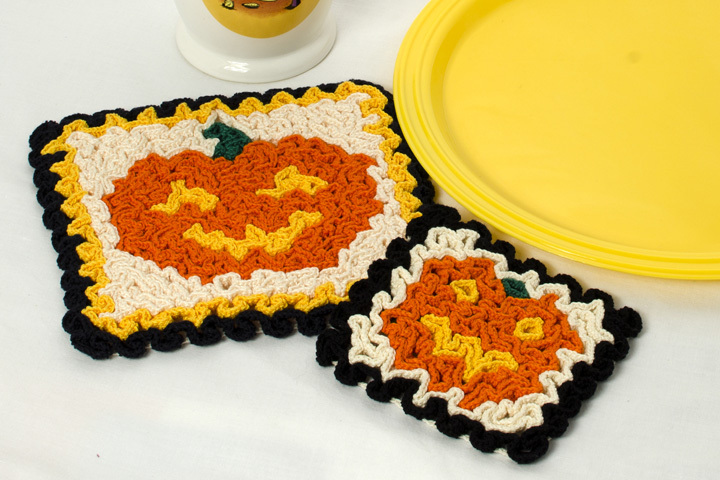 Our wiggly crochet Jack-O-Lantern hot pad and coaster are sure to be a hit with the little kids (there’s nothing scary here). The hot pad is perfect for your Halloween meal hot dish while the coaster keeps surfaces unharmed from water rings. And they make great gifts, too!